Talk about feast to famine. 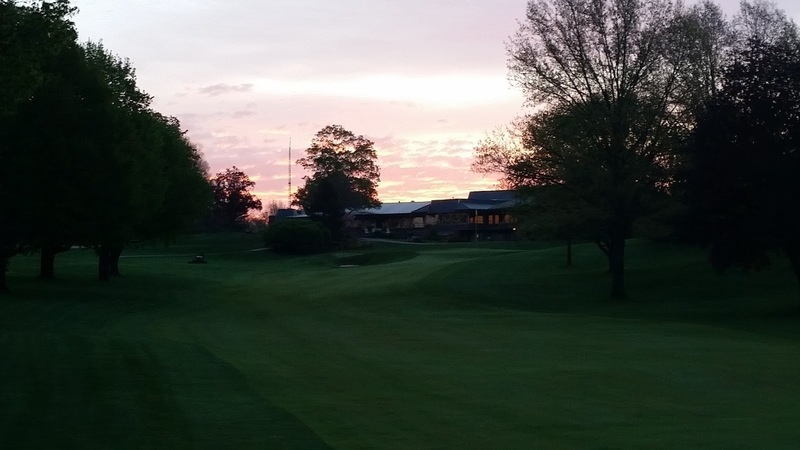 A month ago, we received over 6.5″ of rain at the golf course. We have not had any measurable precipitation since May 28, quite telling by how our non-irrigated areas are starting to look. A large thank you to those who came out to the Master Improvement Plan educational session last Tuesday, and for those of you interested, we have 2 additional ones this Tuesday, at 5:30 and 7:00 p.m. Shawn Smith and Steve Forrest from Hills/Forrest will be here to answer any questions about the Master Improvement Plan that you may have. 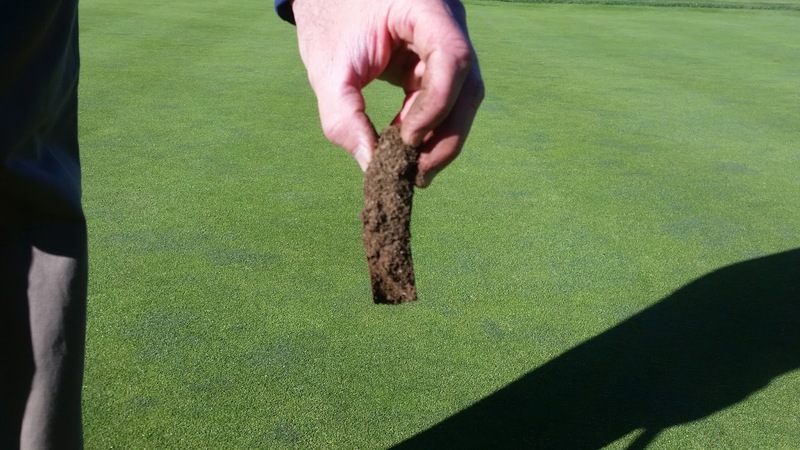 4″ rooting on greens. A good thing heading into summer! The summer’s first dome of heat has arrived, and is bringing some high humidity values with it. While rooting is at a tremendous level currently thanks to great growing conditions and a solid agronomic plan, in these cases we have to temporarily play defense in managing the fine playing surfaces so that they can survive until more temperate growing conditions return. Our sprayers have been quite busy applying plant protectants to help fine turf ward off any potential fungal diseases from developing. Managing water applications is critical during these stretches, and we have been leaning on the drier side when it comes to irrigation. 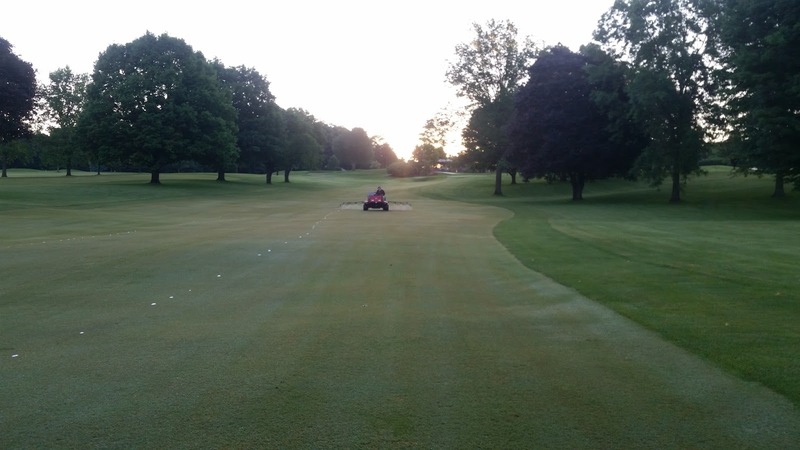 It may seem counter-intuitive restricting irrigation during a heat wave, but wetter soils can create a better environment for diseases to develop, while reducing the amount of root density in the turf. 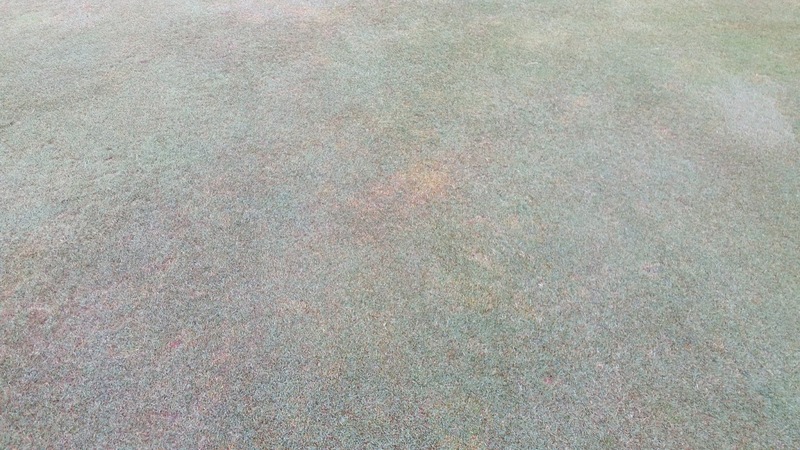 Hand-watering hot spots and syringing greens in the afternoons is also critical for survival. 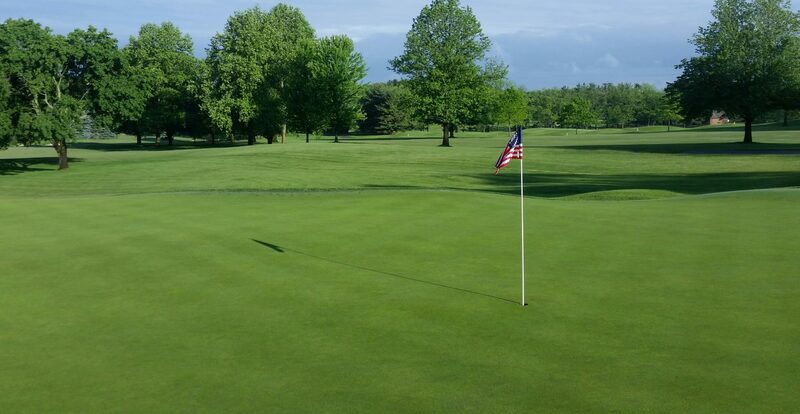 The USGA has produced a great video on water management, which you can view here. Our staff will be out and about each afternoon watching conditions, and while we do not intend to disrupt your round, please use caution if a staff member is syringing on the hole you are playing. This quite necessary procedure only takes a couple of minutes to complete and as soon as they are able, they will vacate the area so that you may resume your round. 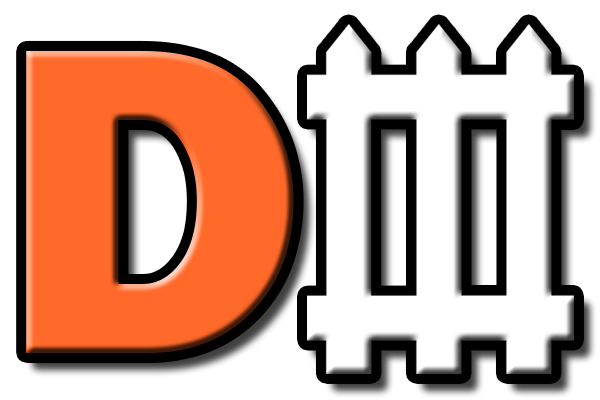 If these above normal temperatures and humidity continue, other defensive measures may be necessary to allow the turf to survive until seasonable conditions return. One example of that would be raising heights of cut slightly (.005″). This allows the plant to generate additional leaf tissue to produce the energy it needs to survive. While defensive measures can lead to slower conditions, rest assured these measures are done to protect the turf though the tough stretches and allow us to return to normal maintenance when the weather allows us to. The other change you may have noticed is a change in hazard marking along the lateral part of Zimm’s Creek, right of 15 green. The Golf/Greens Committee has decided that area is better defined as a lateral water hazard (red), based on the interpretation of the Rules of Golf. 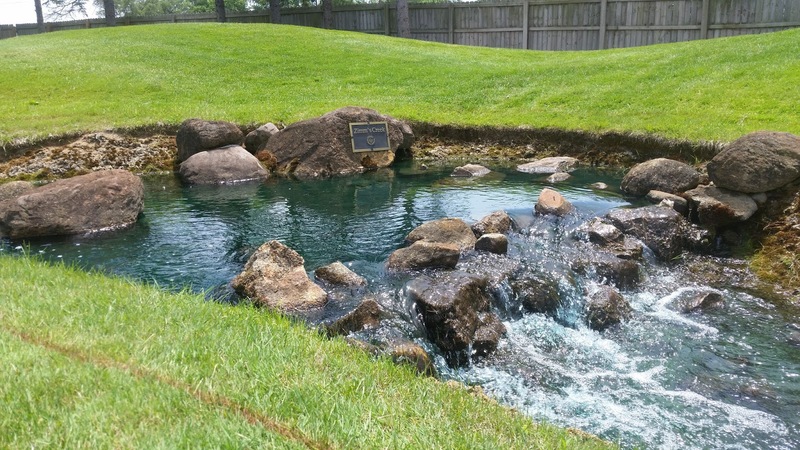 The part of the creek running perpendicular to the green, and the pond will continue to play as a regular (yellow) water hazard. For a more in-depth explanation of the definitions and how to play the ball if it enters these hazards, here is a link to the Rules of Golf explaining these. Finally, I have some sad news to pass on. One of our long time staff members, Rachael Garrett, passed away this past Tuesday. Rachael served Elcona for 28 years and was a beloved member of our staff. She enjoyed being out each day here among the members and beautiful scenery, and will be missed greatly. If you have any questions, feel free to reach out to me at ryan@elconacc.com, or stop me when you see me out on the golf course. Enjoy the week and stay cool!